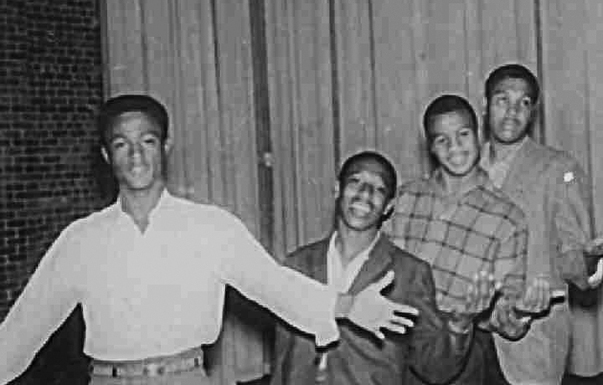 Charles “Diamond” Pennywell was born in Shreveport, LA and formed a little vocal group called the Fairlanes for whom he sang lead. Their first record was “Seventeen Steps” b/w “Johnny Rhythm” for Dee Marais’ Lucky Seven label, released in April 1959. The haunting ballad "Seventeen Steps" tells the feelings of a death row inmate watching fellow inmates, one by one, walk the seventeen steps from the holding cell to "...that death cold chair..." knowing he'll be walking them tomorrow. Johnny Rhythm" is an up tempo tune rocker. November 1959 saw the release of “Bullseye”, a Coasters-style up tempo song, backed with another great Charles Pennywell led ballad "Just For Me," on Pappy Dailey’s Dart label. The Fairlanes were back in the studio in 1961 to record "You're Lonesome Now" and the up tempo flip, "Come Along With Me". This time they recorded directly for Eddie Shuler's Tic-Toc label, a subsidiary of Goldband. "You're Lonesome Now" was a soulful group ballad, again led by Charles Pennywell. Oddly, when the record came out there were two misprints on the label. First, the title was printed as "Your Lonesome Now" instead of "You're Lonesome Now". And second, the artist was listed as "Charles Perrywell" instead of "Charles Pennywell". Charles “Diamond” Pennywell recorded for Smash in 1963 and formed the soul harmony group The Sunlover’s in 1967. He is still performing.